Rediscover misunderstood aspects of the Viet Nam War. In this brief talk on the war in Viet Nam, look in-depth at the origins of the Viet Nam conflict and the various parties involved. 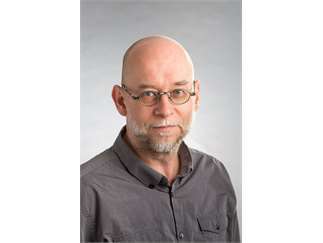 Professor Christoph Giebel, of the University of Washtingon, will relate the Viet Nam War to the Geneva Accords of 1954, using one example from 1965 to illustrate how opposing sides in the 1960s used imagery and rhetorical frames to mobilize support for the costly war. Professor Giebel will look at the complex socio-political-military situation in the 1960s to reveal how representations of the conflict have tended to obscure realities of the conflict. A hospital ship medic in the Vietnamese refugees crisis around 1980, Professor Christoph Giebel in 1986/87 became the first West German to study in post-war Viet Nam. He ultimately earned his PhD in Southeast Asian History in 1996 at Cornell University. Teaching at UW-Seattle since 1998, in the Jackson School of International Studies, he frequently leads UW programs to Viet Nam, focused on legacies and memories of war. As well, in the History Department, he is the Col. Donald Wiethuechter Endowed Faculty Fellow in the History of War and Society.